Texas Racing Commissioner G. Kent Carter, DVM, MS, was recently inducted into the International Equine Veterinarians Hall of Fame as the 2008 college and industry veterinarian, as well as the International Horseshoeing Hall Of Fame. 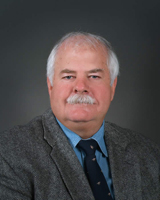 Dr. Carter is a Diplomate in the American College of Veterinary Internal Medicine, Texas A&M College of Veterinary Medicine, and was honored on January 31, 2008 by being inducted into the International Equine Veterinarians Hall of Fame and International Horseshoeing Hall Of Fame. The honor recognizes his accomplishments, achievements and contributions in the advancement of equine foot-care. “I am very honored and humbled by receiving this award,” said Dr. Carter. The International Equine Veterinarians Hall Of Fame was established in 1997 by the American Farriers Journal to honor veterinarians who have contributed to the knowledge and recognition of proper equine hoof-care. Nominations for the Hall of Fame are made in two classes: practicing equine veterinarian (involved with veterinarians in the field) and college and industry veterinarians (involved with teaching, research or other important components of hoof-care education). Current Hall of Fame members select new inductees, and the Hall is sponsored by American Farriers Journal and The Kentucky Derby Museum. A mere 33 members compose the Equine Veterinarians Hall Of Fame. A Utah native, Dr. Carter attended Colorado State Veterinary School and then went into private practice in Reno, Nevada. He completed a residency in large animal medicine at Texas A&M University and went to Purdue University. After two years at Purdue, he became board certified in internal medicine. Dr. Carter then moved to Texas A&M in 1984, where he is currently Chief of Medicine. Working in conjunction with farriers for over two decades, he has been instrumental in helping promote a healthy relationship between the two professions. Dr. Carter has launched an innovative instructional rotation at Texas A&M University dedicated to equine lameness, which includes foot care and its relationship to many lameness problems.